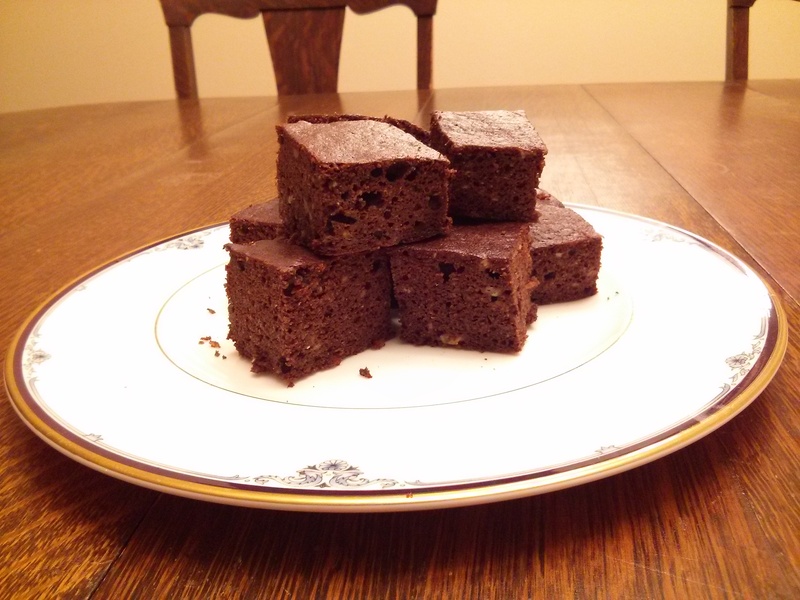 One more great recipe for your Christmas baking or for anytime you want a treat. These squares will be eaten up quickly so be sure to save yourself a piece! Combine melted oil, cocoa powder and cane sugar, eggs, vanilla and milk. In separate bowl, combine flour, salt, baking powder. Add liquid mixture to flour mixture and gently stir until well combined. Pour in 8 x 8 inch pan.